Don't let the fourth of July go by without showing your patriotism in jewelry form. 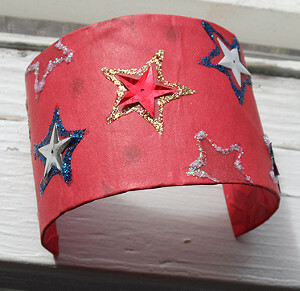 The Rockets' Red Glare Bracelet is not only cute and fun, but it's also one of the best toilet paper roll crafts for kids to make. 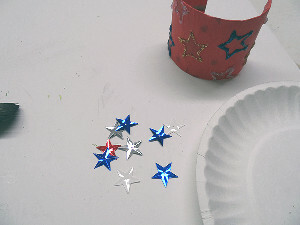 Since it's made from recycled materials, this fourth of July craft is affordable and can be made by even the littlest Americans. Summer arts and crafts for kids are wonderful ways to spend the long summer days and to get ready to celebrate freedom. Art projects for children that are themed are great ways to introduce topics to young kids. Make a craft and then discuss important events, holidays, or issues. Cut cardboard tube in half, so it's about 2 1/2-inches. 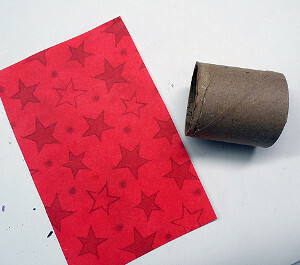 Cut a piece of scrapbook or construction paper twice the length of the tube and wide enough to go all the way around the tube. 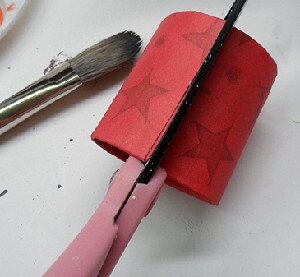 Use glue stick to attach the paper to the tube, tucking the excess paper inside the tube. Allow to dry. 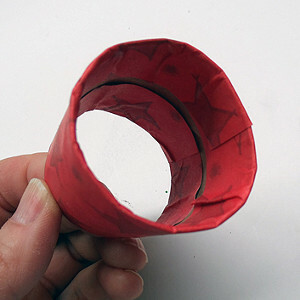 Cut the tube at the paper seam to create a bracelet. 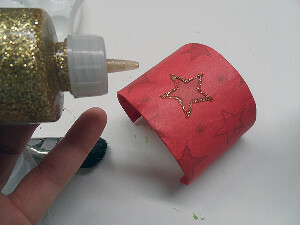 Decorate with glitter glue and sequin stars.